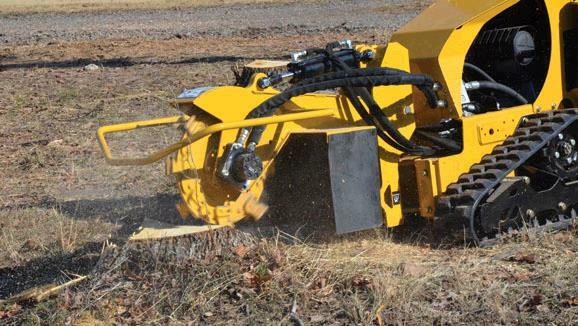 AutoSweep monitors engine speed and automatically adjusts cutter wheel sweep rate. 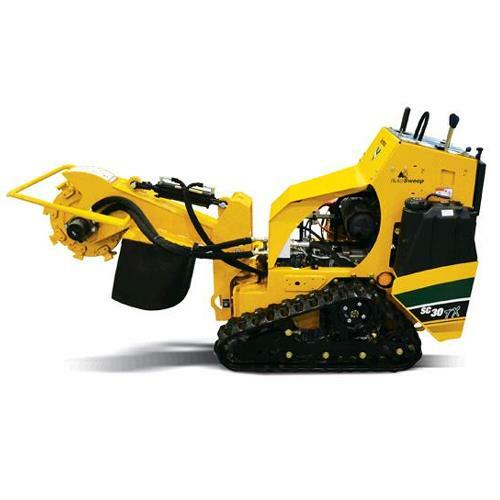 The hydrostatic ground drive and hydraulic cutter wheel drive eliminates belts and pulleys reducing maintenance time and cost. Ground disturbance is minimized due to long tracks which provide lower ground pressure and improved stability. 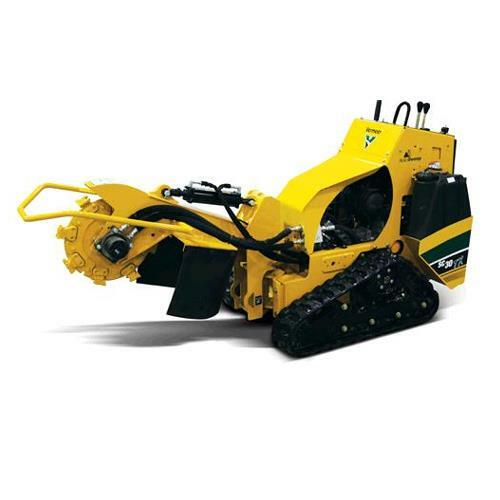 Wheel Diameter w/o Teeth 16"
Wheel Cut Above Ground 25"
Wheel Cut Below Ground 12"
* Please call us for any questions on our grinder stump 27hp track hyd rentals in Naples FL, serving Southwest Florida.